Baukash - Librería Electrónica: Altmetrics for Librarians: 100+ tips, tricks, and examples. Brought to you by Altmetric. 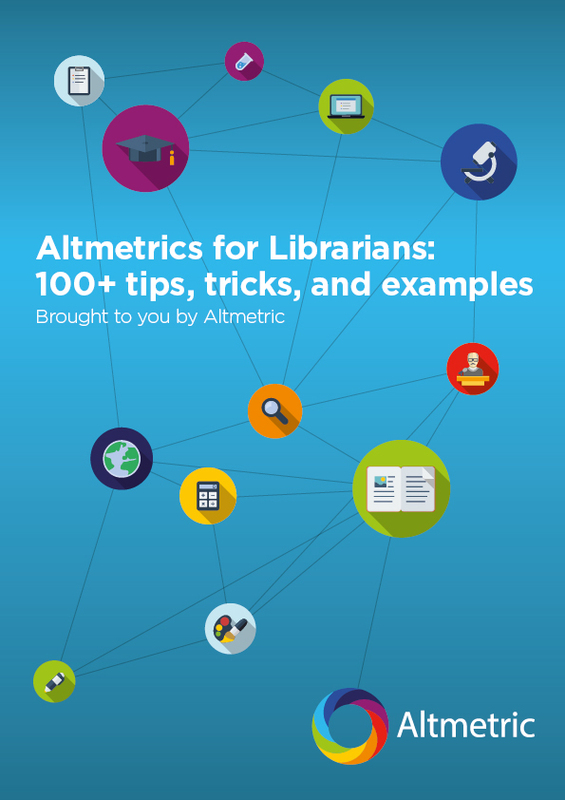 Altmetrics for Librarians: 100+ tips, tricks, and examples. Brought to you by Altmetric. Ever wonder how you, as a librarian, can use altmetrics in your day-to-day work? I, along with my colleagues (and fellow librarians) Natalia Madjarevic and Amy Rees, certainly have! While there’s no shortage of excellent altmetrics primers for librarians in existence, we saw a need for a resource to help librarians who want to apply altmetrics in their own work. Helping faculty assemble evidence for their tenure & promotion packets. In it, we also share our favorite resources for staying up-to-date on altmetrics research and news. Overall, we share more than one hundred tips, tricks, and examples that you can use to guide your own application of altmetrics in libraries. Enjoy! P.S. Much like our other recently-released resource on altmetrics, we’ve endeavored to make this ebook as objective as possible (though we do use Altmetric’s own tools throughout to illustrate various concepts). If you have any suggestions or general comments, we’d love to hear them via email (stacy@altmetric.com). Thanks!